Data Analysis is the post facilitation process after a client has motion captured a series of motions or sequences within a motion capture system, this raw data has to then be defined and solved in order to prepare and outputted into 3rd party software systems. Triangulation- is the process of processing 2D camera data to output 3D unlabeled marker clouds. Tracking-is the process of labeling marker clouds, correcting swaps and filling of trajectory gaps to allow for the solving of 3D skeleton. 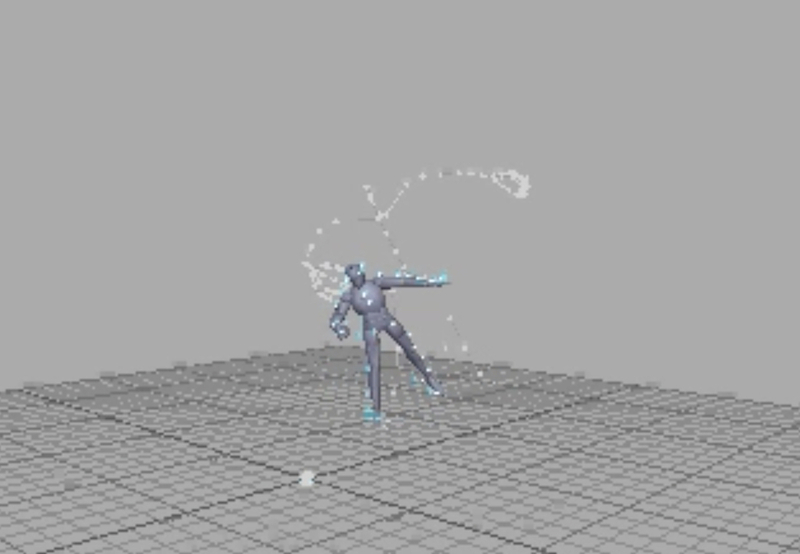 This process is also refereed to as motion capture "Cleanup" or "Data Analysis". Character Plotting- is the process of mapping a solved skeleton to a compatible character rig within Motion Builder® at a one to one relationship. The processes rates for data analysis are charged in the per one second of data. The tracked or solved data files are then delivered in *.fbx or *.c3d format(s), including a DV camera reference video data. If you require a project quotation or detailed pricing model information contact us directly.